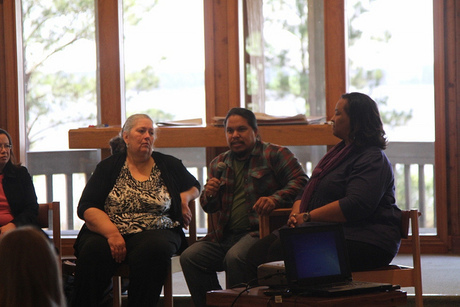 Bisco attended the 2013 Gulf Gathering, a United Response to the BP drilling Disaster. Some great goals and next steps came out of this gathering. 1) Re-forming of the Public Health Work Group. In the coming week we will be contacting you to join the next call where we will begin to develop a more detailed campaign plan and set achievable goals. 2) Gulf Citizen Advisory Committee for the RESTORE Council. An updated sign on letter will be sent around soon for folks to add their name to. 3) Plans for memorializing the 3rd year since the BP disaster are being developed by committees. Bisco, Patty Whitney sharing a Panel, Creating a Stronger and More Inclusive Coalition. The panelists will participate in a fishbowl conversation to discuss how disadvantated communities and communities of color across the Gulf coast became voiceless. Theis was a opportunity to look at how we move forward to ensure that all impacted communities are at the table and part of the restoration projects being proposed in their backyards. There are plenty of motives that you'd want to obtain Instagram followers. We promote authentic followers so they're authentic individuals looking at your posts, not bots or pretend followers. http://getigpromotion.com/buy-auto-instagram-likes/ This may put your pics and videos in front of many viewers who'll likes and remark. This typically makes a snowball impact making it possible for most of our purchasers to go viral. completely read your site but I have bookmarked it and likewise include your RSS channels. I will be back in a day or two. much obliged concerning an incredible site.it’s really nice and meanful. Looks like a positive work group, let's hope something tangible actually comes from it. Because when I see BP, I generally become rather pessimistic. http://www.fashionableway.net	Scarf is often a very versatile part of accessory. They have multifunction. It might create various looks out from a one outfit, it might transform a fairly easy dress straight into elegant dress or it might create a new ready-to-go clothing from just about any formal apparels. Perhaps, the biggest advantage to making your own YouTube videos is that your videos can be just about whatever you want them to be. Popular videos on YouTube right now include comedy skits, video blogs, how-to videos, and music videos from up and coming artists. This looks like to be very good group photo. Please keep publishing such nice stuff in the future here too. 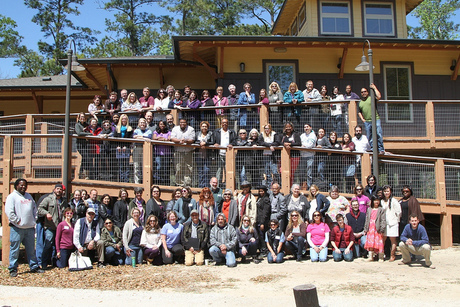 I like this website posts and i want to say thank you for taking time to share about Gulf Gathering 2013. I am sharing this post on social media websites. I want to say that you have done a great job. I like your work. I really impressed after reading this article, because your article is very helpful for me. I want to say that your website writing is truly useful and informative. Thanks for taking time to share this website. Thanks for sharing. It is a very useful website. Must visit this site. I am really impressed to see these type of wonderful post. Your post is truly unique and interesting for me. I will share it on Google. Your post is really like and interesting for me. I am really happy to see these type of wonderful post. Keep it up and share. This is very good group photo and awesome work that BISCO do. ,christmas quotes ,christmas poems ,christmas cards ,christmas pictures. For a local company dealing with global risks is the same as for a small ship to be caught in a thunderstorm. The only way to make through is to have a guidance. At YADO, we believe that no local company should be left alone in the darkness of the global business and trading risks. Our mission is to help local business to grow globally by verifying information and offering local support. I must tell you I am impressed. Trying to change eating habits, exercise regimes, and general lifestyle can be a difficult task leaving many people wondering how to begin. It's contains very useful data which i need and i want to see more quality posts in this blog so please update your blog. Thanks for sharing. Thank you for your great shear. Your blog is really awesome. I am very happy to see this. It is totally useful for me. Once again thanks for sharing. Please keep publishing such nice stuff .. This product has several advantages for a homeowner, whether they are looking to improve their present living environment or seeking the finishing touches to inspire a home buyer to invest in their property. Amazing! Its definitely great paragraph, I've got considerably clear idea about from this post. Public health work group Gulf is deserving a lot of applause for their efforts. http://www.writemyessay-site.com/essayontime-com-review/ stands with them in this noble cause to support education outreach commitee.